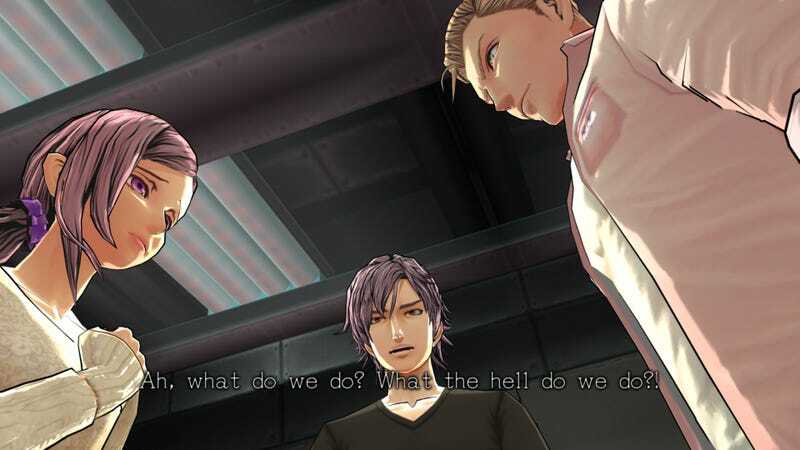 People who pre-ordered the bonus edition of Zero Time Dilemma, which comes with a game and a watch, are finding themselves with neither game nor watch thanks to a snafu that has some fans fuming. After all, what’s the point of pre-ordering if you don’t get the game on time? Publisher Aksys opened up pre-orders for this special edition of the game in July of last year, selling out within hours. At $40, this bonus version cost the same as standard copies, but promised to ship with a rubber version of the watch that characters are forced to wear in Zero Time Dilemma. Yet on Zero Time Dilemma’s release day, June 28, many people who pre-ordered the special edition on Amazon didn’t receive their games. Some didn’t hear a word from Amazon; others have told Kotaku that their estimated shipping dates have moved to mid-July or later. What’s become clear is that the game isn’t actually being shipped separately, despite what Miscevich had said. Question is, what happened? Incidentally, both Aksys and Amazon ran into similar issues with the watch for 2012's Virtue’s Last Reward, the predecessor to Zero Time Dilemma. Pretty annoying trend. We’re contacting you about your order for Zero Time Dilemma: Limited Watch Bonus Edition Vita. We recently learned of an unexpected delay in getting the Limited Edition Bonus watch included in your order from our supplier. We’ll be shipping the game without the bonus watch and will ship the bonus watch as soon as it becomes available. We’re very sorry about this. To help make up for the inconvenience, we’ve added a $10 promotional certificate to your account. This amount will automatically apply the next time you buy an eligible item shipped and sold by Amazon.com.